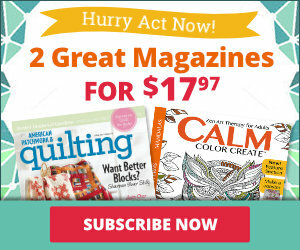 Looking for a way to make your quilting more creative? 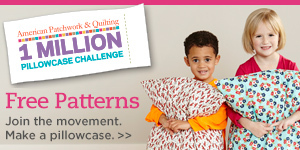 Take a Babylock Imagine Serger for a spin. 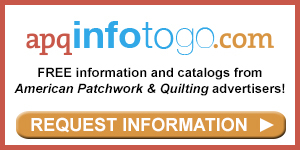 Looking for a new tool when it comes to quilting? See?what a serger has to offer. Hi, I'm Beth, and when you think of serger, you usually think of clothing construction, but with all the great decorative stitches and finishing functions available, there are really great tool for quilters, too. So, let's take a look at some of the features of Baby Lock's most popular model, the Imagine. The most important feature is the exclusive jet air threading system. A serger can be really intimidating, especially for beginners. There are all these threads, and you're like where do they go? How do I set this up? Well the threading system makes it really easy. We just take our thread and we're going to load it into the ports here. And you want to get probably about an inch in there, so you just kind of need to work it in, and then you press this lever and hear that little whoosh. That's the thread coming out where it needs to go. It's so easy, and it's fun too. So, I'll do the upper now. Again, I'm just loading it into the port, putting a little bit in there, and we press the lever again and it shoots out right over here. When it comes to stitching, you have a lot of flexibility. You can choose the different type of stitch and you can adjust width and length. And you can also choose the number of threads you would like to use. But one choice you don't have to make is tension. This is one of my favorite features. The tension automatically adjusts for you. So, as you sew, you get perfect tension every time and when you switch fabrics, there's no need to adjust, just keep sewing. It automatically adjusts for you. So you get perfect stitches every time. So, what are some of the stitches you're likely to use when you're quilting? Well, one of the great ones for piecing blocks is this 4-thread seaming construction stitch. Now, I've got this set up for a 1/4" seam and I'm just going to run this through, cut it off, and we've got our nice 1/4" seam there. Some of the other ones that you can use, you've got a decorative edge with a wide 3-thread stitch is great to use for finishing the edge of a quilt fast. And this narrow rolled hem is perfect for a small decorative edge on finer fabrics or to serge pin tucks to add texture to blocks. What is the benefit of using a serger to piece your blocks? Well, I want to show you this quilt top. Now, it's a take on the traditional Log Cabin quilt block and it's really beautiful, but the real story is on the back. You can see this was all pieced using a serger and you've got these really nice professional looking seams and everything lays really flat. It's nice and neat. It's also a really big time saver because your serger can go so much faster than a traditional sewing machine, so you can get this whole quilt top done in a day. 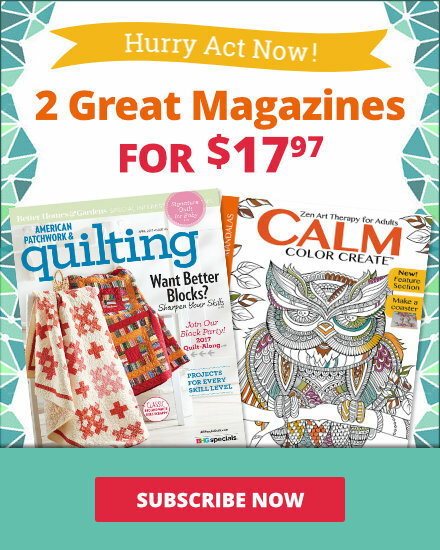 There are so many great ways to use a serger when you're quilting so if you're looking for a new tool to take your quilting to a new level, just imagine what you can do with this.